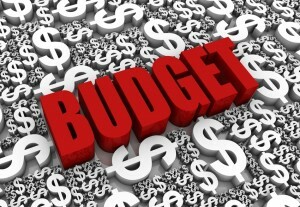 7 Expenses to Include in Your 2014 Budget (Part 2) - Castle Rock Bankruptcy Attorney - Jon B. Clarke, P.C. Some expenses to include in your 2014 budget include tax fees, membership fees and the costs of medical bills you anticipate for the New Year. Medical bills – Even if you don’t get seriously ill or injured this year (which hopefully you don’t! ), you will likely have routine medical bills associated with your annual checkups. Figure out how much your co-pays are for these bills (both doctors’ visits and prescription medications) and calculate what you expect your medical bills to cost you in 2014. It’s generally a good idea to error on the side of caution with this calculation by assuming that you may get sick and need to visit the doctor one or two more times than you expect this year. Tax fees – For this expense, be sure to include the cost of any tax preparation services you may use each year, as well as any estimated tax payments you may need to pay for 2013. If you have prior tax bills that you are still paying off (like, for example, for the 2012 tax year), then include these tax payments in this estimation as well. It’s important to point out that you should include estimated tax fees all of the members of your family (if your 2014 budget is intended to be a family budget). Membership fees – This can include membership fees to local gyms, car care services (like AAA), the local zoo, warehouse savings stores (like Costco), etc. Figure out what the annual membership fees are for each of these clubs or organizations to which you belong and be sure to include them in your 2014 budget. Gifts and parties – Inevitably, you will be buying gifts this year, and you may even be planning to host one (or more parties). Estimate the cost of birthday, Christmas and other gifts you normally buy – as well as the costs associated with hosting gatherings – and include these expenses in your 2014 budget.